Elwood Haynes of Kokomo, Indiana, was an engineer and metallurgist who conceived his first motorcar in 1893 and had it built in the machine shop of the brothers Elmer and Edgar Apperson in 1894. The vehicle ran on the roads that summer, thus making it among the earliest of American gasoline-powered automobiles. During 1895 a horizontally-opposed two-cylinder engine was developed that was used in Haynes-Apperson cars for the next ten years. The firm also pioneered the American use of aluminium for automobiles. Production was slow to get underway but in 1900 nearly 200 cars were sold. 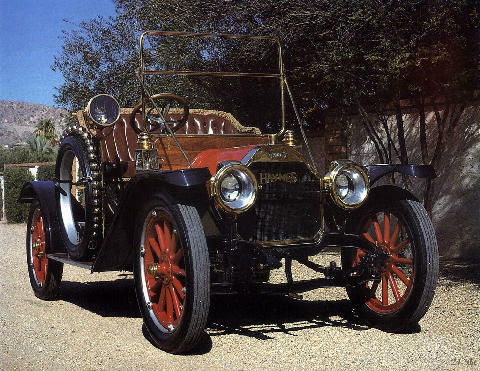 The Appersons broke their connection with Haynes in 1901 and made Apperson automobiles until 1926, their name remaining coupled with the original products until 1904. That year saw the engine moved from the rear of the car to the front and the arrival of a four-cylinder model. Haynes introduced of one of the first production V-12 automobiles in 1916, but the business did not survive the death of its creator.